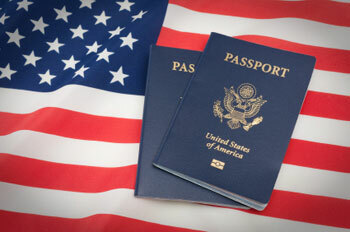 JNN 18 May 2014 Washington : A record number of Americans are renouncing their citizenship as they seek to remove the burden of filing complicated and costly tax returns simply for living in another country. According to Bloomberg News, just over 1,000 Americans gave up their nationality in the three months from January to March. That’s a significant increase from the 670 who did so in the same time span last year, and it’s already one third of the way to matching the total number of Americans who renounced their citizenship in 2013. Last year, data from the Internal Revenue Service showed that approximately 3,000 Americans gave up their passports – a number that tripled the average of the previous five years. Although the reasons for doing so can range from one individual to another, many of the cases have been linked to the Foreign Accounts Tax Compliance Act, which has been gradually taking effect since it was passed in 2010. Looking to crack down on tax dodgers and institutions that help make that behavior possible, Congress passed the legislation in the hopes that it would bring in hundreds of billions of dollars in unpaid taxes. Since the US is one of the few countries that taxes its citizens regardless of where they live, however, the law has ended up ensnaring all Americans who live and work overseas and use foreign accounts to pay bills at home. As of 2012, all banks working with the US are now required to divulge information on their accounts held by American citizens. This has caused headaches for many foreign banks – including UBS AG and Credit Suisse – who are being forced to decide between incurring high compliance costs for each American account holder and simply ending their relationship with them. As noted by Bloomberg, making sure overseas Americans are filing the right tax forms costs banks about $7,000 per person, while individuals themselves can pay out $4,000 to remain on the right side of the law. As a result, some foreign banks are declining to do business with overseas Americans and canceling accounts, while increasing numbers of US citizens are contemplating giving up their nationality. According to NPR, there are so many Americans in Switzerland looking to give up their passports that the US Embassy there has a waiting list. Despite this, many Americans said the money owed is not the overriding issue, but rather the hassle of dealing with all the new regulations, as well as the fact that they are now dealing with foreign banks that no longer want their business. Drug giant Pfizer (PFE) raised eyebrows recently with its plan to merge with British firm AstraZeneca — and move its headquarters to the U.K., to take advantage of lower tax rates there. Such an unusual move makes sense for U.S. companies that earn substantial profits overseas and would pay a “tax penalty” if they repatriated those profits to the United States. The penalty occurs because the corporate tax rate in the United States, at 35%, is one of the highest in the world, which creates a strong incentive to keep profits overseas and pay lower taxes on them. A Congressional awakening. For at least a decade, there’s been serious talk about the need for corporate tax reform that would make U.S. rates competitive with the rest of the world while closing loopholes that allow some firms to pay little or no U.S. tax. Democrats and Republicans even agree, in general, about the need to do this. Yet even though there are tax-reform bills in both the House and Senate, any serious tax reform seems years away at best, for all the familiar reasons: political nihilism, election-year cowardice, etc. A partial compromise would be a temporary “tax holiday” that created a window of time during which firms could repatriate profits under lower tax rates or none at all. The United States has done that before, but as a one-time maneuver it wouldn’t necessarily bring cash home permanently. And this, too, would require Congress to actually agree on a bill and pass it. A higher wall. One proposal that has a better chance than comprehensive tax reform is a plan to make Pfizer-style mergers much more difficult. So-called “inversions” are allowed as long as the firm that results from the merger of a U.S. and foreign company has at least 20% foreign ownership. Congress passed that law a decade ago to prevent U.S. firms from simply moving their nominal headquarters to a low- or no-tax nation, without any other business purpose. Sen. Carl Levin (D-MI) wants to require at least 50% foreign ownership — a threshold President Obama supports — which would require the U.S. firm to give up ownership control. Levin’s proposal may not pass, but it could still dissuade companies from moving overseas, since a retroactivity clause could make the 50% threshold effective beginning at any date in the past. So companies executing an inversion now would be gambling that the Levin bill won’t pass in the future. Public embarrassment. Most companies abhor controversy and tend to react when faced with boycotts, protests or other types of unwanted publicity. In 2002, Stanley Works (later acquired by Black & Decker) canceled a tax-avoidance plan to relocate its headquarters to Bermuda, after a public outcry. The same outrage seems lacking today, however. Aside from Levin’s forthcoming legislation, Americans seem blasé about the Pfizer move. “The public has just become more conditioned and accepting of this type of behavior,” says Sullivan. It might help that there seem to be other reasons for Pfizer and AstraZeneca to merge, in addition to the tax savings. There’s one other thing that might bring more corporate cash home: A roaring U.S. economy. If big firms were able to earn strong returns on U.S. investments, that might offset the tax penalty and persuade them to bring more profits home. Business spending is tepid, however, since the economy is weak and political brawling in Washington hurts more than it helps. If nothing changes, expect corporations to continue playing hide-and-seek with the tax man. This entry was posted in America, United States and tagged bloomberg news, Carl Levin, citizenship, Congress, HIgh Taxes, Martin Sullivan, Revocation of US Citizenship, United States, US Citizenship. Bookmark the permalink.